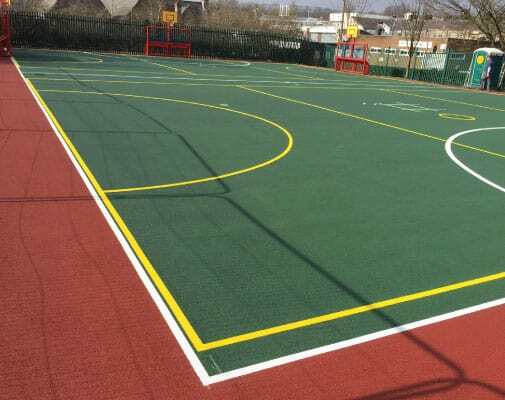 A polymeric surface is a rubber surface, similar to wet pour, but adapted for use as an all-weather sports surface. 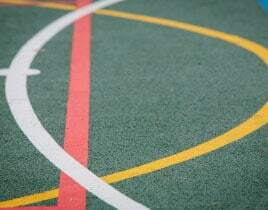 The rubber is thinner and firmer underfoot and coated with an anti-slip coating, making it ideal for a variety of sports. 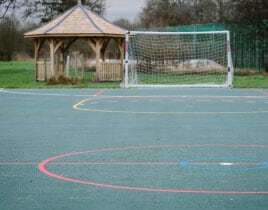 The surface is porous allowing water to drain through, ensuring year round usage. 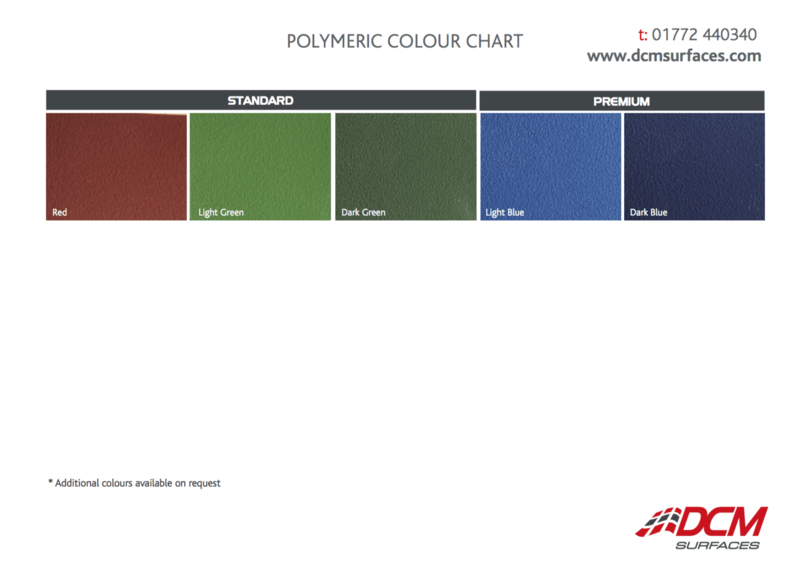 The anti-slip coating is available in a variety of colours, including red, green or blue. 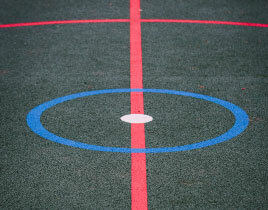 Line markings are also available, creating multi-use areas ideal for football, basketball and netball. 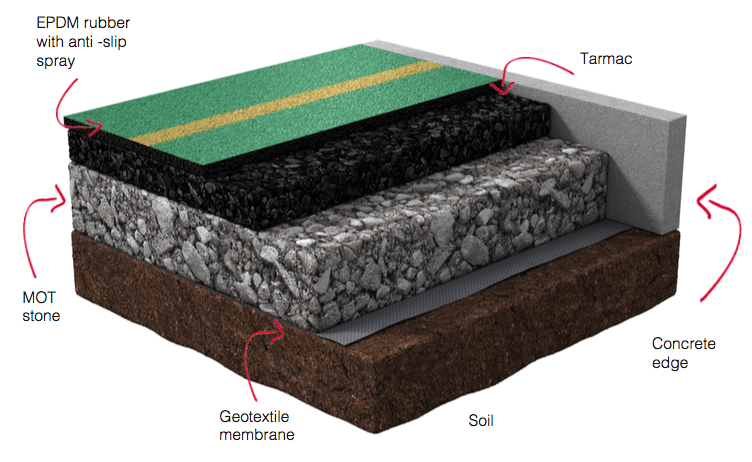 Polymeric surfaces are constructed by applying polyurethane bound EPDM rubber to an open textured macadam surface. 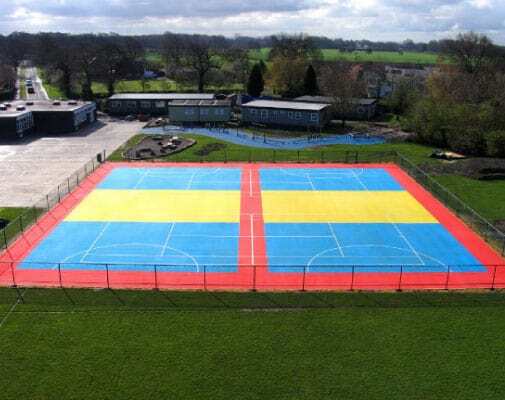 To provide the high degree of slip resistance required by sports such as tennis and netball, a specially modified final coating can be applied to the surface. 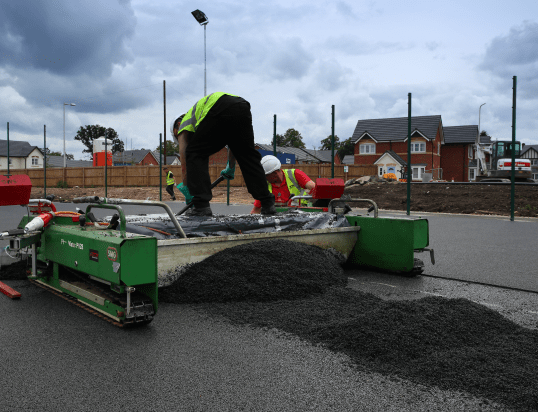 Whilst on site we mix rubber granules with resin binder. 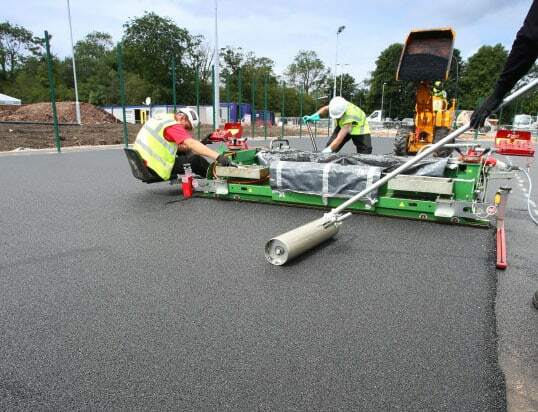 The mixture of rubber and resin is levelled to the required thickness using a paving machine. 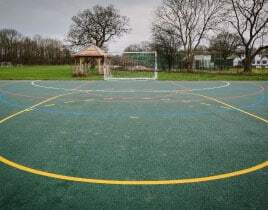 Once completed and cured, the area is sprayed with an anti-slip top-coat which provides additional grip. Sport lines are sprayed onto the top coat. 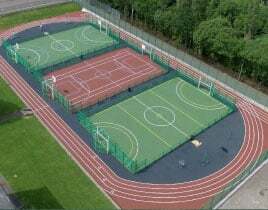 This may include tennis, basketball, football, athletics, general sports and recreational training. The area will be ready to use the following day. Q: What sports are suitable? 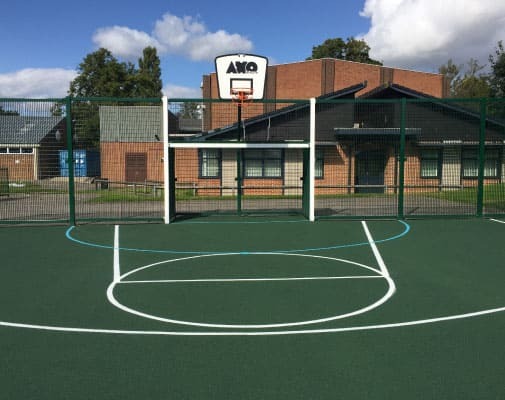 A: Polymeric surfaces are ideally suited for a variety of sports including tennis, basketball, football, athletics, general sports, and recreational training. 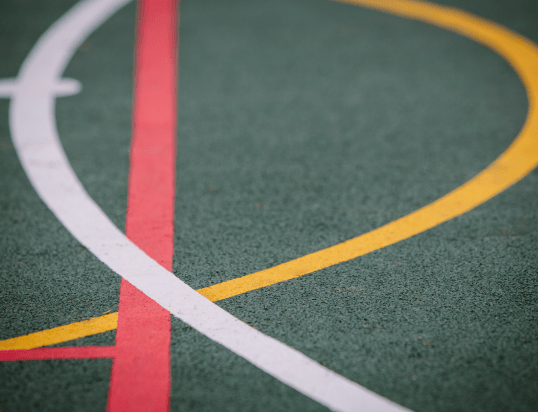 Q: Do you have to have an anti-slip spray? 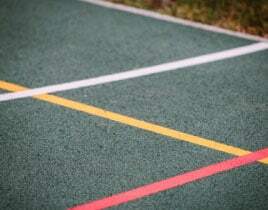 A: Yes, EPDM has a slip rating as standard but certain sports require a higher slip rating. Q: Can you wear studded boots? A: No, studs and blades will damage the surface. 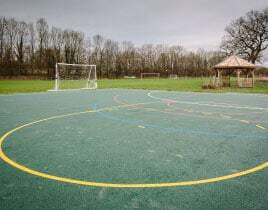 The surface is designed for astro boots and trainers only.